Pu-Erh tea is a treasured tea in China. It is only able to be grown in the Yunnan Province of China and produced following strict rules much like how true Champagne wine is grown in the Champagne region of France under strict guidelines. This tea undergoes a rigid aging process that can take between 10 and 30 years. Since the tea takes such a long time to age, it is very valuable in the Chinese culture. Not only is it valuable as a result of the aging process, it is also sought after for its medicinal purposes. The cultivation of this plant can be traced as far back as the Han Dynasty that took place from 202 BCE to 220 CE. These are from da ye or broad leaf tea. The aging process is delicate and requires attention. The leaves are sent through a process called maocha, which translates to rough tea. After that, they are sent through one more process before being stored — that process is called fermentation. Before the modernization of the fermentation process, the raw leaves were pressed and stored for up to 100 years to full maturation. It wasn’t until 1975 that the process was refined and shortened. According to Traditional Chinese Medicine, Pu-Erh tea has been used for generations to keep internal dampness from occurring in the body. This is a term that the Chinese use to describe a buildup of energy inside the body due to the spleen’s lack of ability to transform the energy it receives from the intestines. This tea has been used traditionally to activate the spleen and to help it to work properly. It is also known for its ability to detox the entire body and remove toxins from your system. the body, which can be a great benefit to people. In traditional Chinese medicine, people have used the tea as a way to lower blood fat. In more recent studies, researchers have found that drinking this tea can reduce bad cholesterol levels and raise good cholesterol levels. There is blend of Pu-Erh tea found in Shanghai that is used in Chinese medicine to reduce cholesterol. It has been shown to be of benefit to people who are dealing with these circulatory issues. What is in the Shanghai blend? These are a few of the herbs you might find in this blend. There are other ingredients that can be put in the tea, as well – it depends on the producer of the Shanghai blend. 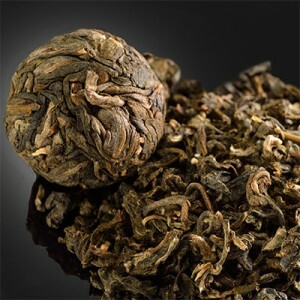 With the rigid aging process that Pu-Erh tea goes through, there is no wonder that there are a lot of knock-off brands in the market. Some of these teas include harmful ingredients such as fluorine, which can cause fluoride poisoning if ingested for too long. It is best to consume only trusted brands. You can expect that if the tea is authentic, it will cost more. Since there is so much time involved in aging the tea, it will be more expensive. Cheaper versions of the tea will not provide the benefits you are looking for. As already discussed, some of the ingredients can give you an adverse reaction. Drinking authentic Pu-Erh tea on a daily basis can serve as an herbal remedy. It is best to drink 2-3 cups a day for the full benefit. That said, we at Tea Vue drink pots of it everyday. If you are considering consuming Pu-Erh tea for health purposes, please feel free to share your experience. Cheers!